Many were shocked to hear that a Valkyria Chronicles sequel was in the works, and furthermore, were shocked to hear it was going to have a cooperative mode. But everyone's collective jaws hit the floor when they found out the game was going to be a PlayStation Portable exclusive. Why would Sega choose to go this route for a sequel to one of the most beautiful PlayStation 3 games available? It's a complicated answer, but the game's Chief Producer Shuntaro Tanaka has said it basically comes down to timing. Even when using existing assets and knowledge from the development of the first game, he estimates a development time of approximately three years for a full fledged PlayStation 3 sequel. But that's not the only reason. The first game, while receiving rave reviews, didn't exactly sell like hot cakes. And the audience it sold to was 95% male. The move to the PSP is another effort to expand this audience, trying to bring in different demographics. In the end Shuntaro Tanaka would just like to expand the series, and eventually, that includes a true sequel on the PlayStation 3. 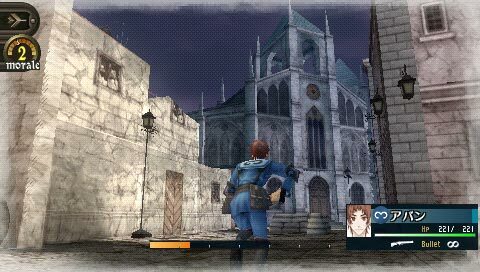 Valkyria Chronicles 2 will be released next month in Japan and in the spring for the rest of the world. The original is still available on Amazon at a decent price, and is definitely worth checking out for fans of strategy RPGs. Page created in 0.3519 seconds.